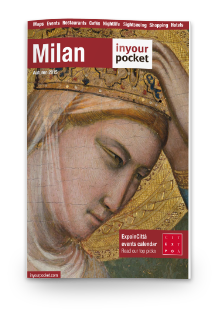 WITH MilanoCard, FREE ADMISSION ON TUESDAYS TO THIS MUSEUM! Every other day with MilanoCard, – 50%. Saint Ambrose (Sant’Ambrogio) is the patron saint of the city of Milan. In the city center, just steps away from the Duomo, can be found the Basilica dedicated to the saint. The Basilica of Sant’Ambrogio was originally built in the late 4th century. It was first known as the Basilica Martyrum due to the numbers of martyrs of the Roman persecution buried on the site, but was later renamed after Saint Ambrose, the man who had ordered its construction. The church has been rebuilt and added to many times over the centuries, with much of the building you can see today dating from the 11th and 12th centuries. The Basilica of Sant Ambrogio is one of the oldest churches in Milan. Originally built in the fourth century, by Saint Ambrose, the patron saint of Milan, although none of that first church remains today. The crypt dates from the ninth century and houses the tombs of three saints – Saint Ambrose, Saint Gervasus and Saint Protasus. Also to be seen is the treasury of mosaics, tapestries, paintings and clothes. There, you can access the crypt, where the remains of the saint lie in repose along with the fabulous “Treasure of Saint Ambrose”, which contains paintings, mosaics, tapestries, marble, clothes and other precious objects. WITH MILANOCARD: -50% every day with MilanoCard. On Tuesdays (work days) FREE admission with MilanoCard! OPENING TIME: 09.30>11.45 14.30>18.00; Monday closed. Saturday and Sunday morning closed.